Metallica Salt Lake City 11/30 by Robert Wilson IV! Metallica – Salt Lake City by Robert Wilson IV! 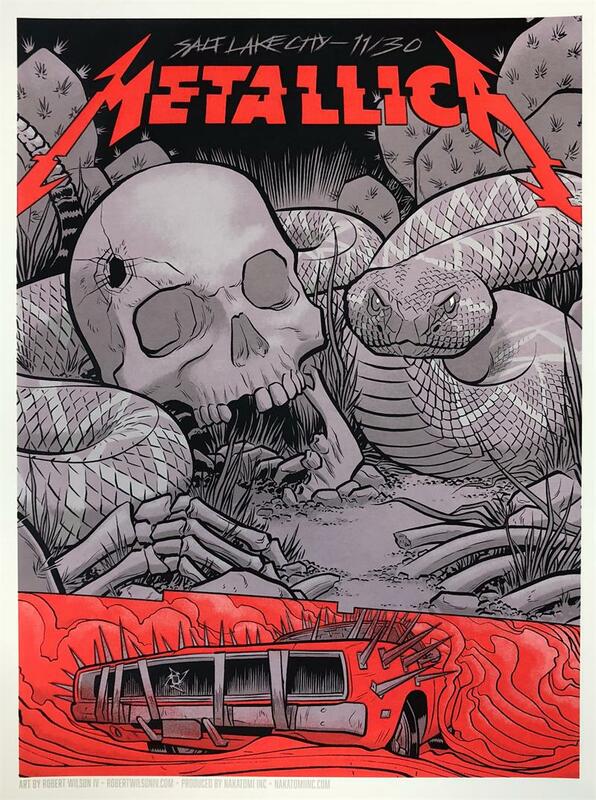 Artist copies from Last Friday’s VIP poster for the Metallica show in Salt Lake City are now available on Nakatomi! This amazing print is designed by Texas-based comic book artist Robert Wilson IV! These 18×24″ hand-printed silkscreen gigposters are hand marked in a limited AP edition. ← NAKATOMI x BLUE GENIE art Bazaar- open NOW!